A simple and contemporary piece that is very chunky but feminine at the same time. The solid sterling silver wire used for the bangle measures 4mm thick. The bangle's diameter measures approximately 6.3cm, which fits a medium sized hand and wrist. 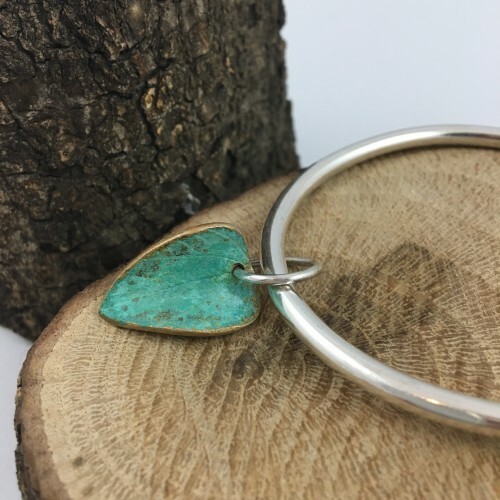 The leaf was cast into bronze from a real leaf and layered with a beautiful turquoise/green patina. 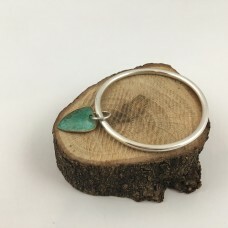 The leaf charm is fitted to a large jump ring that moves around the bangle. A classy piece of jewellery for every day wear!